According to a US News and World Report, Pennsylvania is the lowest-ranked state in the nation for higher education. The state has implemented and pushed for new programs that would help with tuition rates and student loans, two criteria on which the state was judged. On Oct. 22, 2018, the Pennsylvania Higher Education Assistance Authority (PHEAA) passed a new student loan program that will help pay for education. The program is the PA Forward State Grant Program and starts in the 2019-2020 academic year. This will help undergraduate and graduate students and parents by offering alternative low-cost student loans. Borrowers will receive a .25 percent interest rate reduction for enrolling in an automatic direct debit program and an additional .50 percent once graduated. The program will also benefit students and parents by granting a grace period of six months to allow students time to find employment and get their finances in order before making payments. “Now, Pennsylvania students who need that extra financial assistance finally have access to an alternative loan program that puts their needs first by keeping costs down and providing peace of mind during repayment,” says PHEAA Board Vice Chairman, Sen. Wayne Fontana, according to an article posted on Sen. Vincent Hughes’ website. Pennsylvania Sen. Hughes expressed satisfaction with the new program, stating, “I am certainly thankful for steps like this, but the reality is dire for so many people working to learn and secure better lives. We have to continue to promote programs like this.” He is still pushing towards free education. Sen. Hughes is also the primary sponsor of the Pennsylvania Promise Initiative, which is seeking to make college free for students attending community college or state-owned or state-related institutions. According to reports by the US News & World Report, Pennsylvania currently ranks 47th out of the 50 states for funding of higher education. The Pennsylvania Promise hopes to raise Pennsylvania to 36th by increasing the required amount of spending for higher education to an additional $1 billion per year, which would be funded through a tax increase. The PA Promise would aim to help 137,000 students a year by lowering their tuition. This would include covering two years of tuition and fees for recent high school graduates enrolled full-time in any of the 14 Commonwealth public community colleges, or cover four years of tuition and fees for any recent high school graduate accepted into any of the 14 universities in the PASSHE system with a family income equal to or less than $110,000 a year. The initiative would also give four years in grants to students accepted into a state-related university, including Temple, Penn State, Pittsburgh and Lincoln, with the amount ranging from $2,000 to $11,000, that would be based on family income. The Pennsylvania Promise would also seek to establish the Office of Income Mobility in the Pennsylvania Department of Education, which would work with high schools and colleges as well as local communities to implement “evidence-based solutions designed to lower barriers to college attendance and completion for high achieving low-and middle-income students,” according to the PA Budget and Policy Center. However, some people have expressed concern with the initiative. 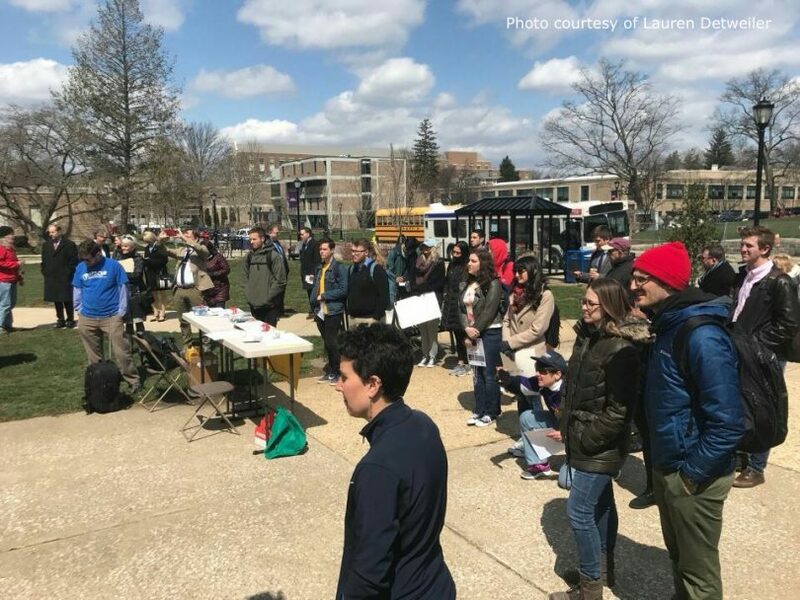 Republican Sen. Ryan Aument said, “It’s not politically viable, and I don’t think it’s budgetarily or economically viable,” as well as expressing concerns that “it’s not getting to the core of the issues in higher education,” according to an article in LancasterOnline. “The System cannot implement the provisions of the Pennsylvania Promise,” PASSHE spokesman Kenn Marshall said. “It would require additional funding, either from the state or from some other source.” However, other states have had success in implementing similar initiatives. New York, for example, recently created the Excelsior scholarship, which allows eligible students to attend a SUNY or CUNY college tuition-free.